Ask your neighbors: They know. 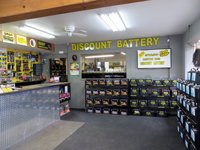 For over 30 years, Discount Battery has been southeast Michigan’s source for the best batteries at the best prices—period. We’ve built our business and our reputation by providing honest, professional, friendly service to each and every one of our valued customers. 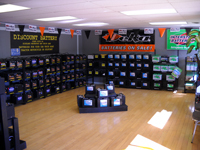 We take pride in being Michigan’s leading specialty battery retailer. 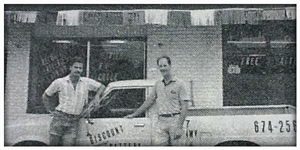 We achieved that distinction the old fashioned way: One satisfied customer at a time. We’re not just another national chain. We’re a proud local business. Our owners, management, and staff are members of the communities we serve, and we never forget that every customer who comes through our doors is our neighbor. 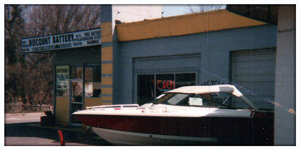 That’s why you can always expect honest, fair, courteous service at Discount Battery. What else sets us apart? Knowledge. We don’t just sell batteries; we know them, inside and out. We leave the fast-talking and the high-pressure salesmanship to the other guys. When you speak with a Discount Battery Specialist, you’re talking to an experienced, highly trained, qualified professional. Our Battery Specialists work with us for over a year before you’ll ever meet them behind the counter. We’ve got the expertise to quickly determine exactly what you need, and provide you with a solution that will give you years of worry-free performance. 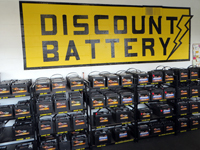 Discount Battery has three stores to serve all your battery needs. All our locations are clean & bright with carpeted showrooms and service bays that keep everyone warm and dry! Of course, Discount Battery honors all our manufacturers’ warranties. We offer only the best, most reliable batteries and accessories for every purpose, and we stand solidly behind every product we sell. We also know that service excellence requires much more. At Discount Battery, you can count on absolute honesty and integrity—every time. We’ll never sell you an inappropriate product, or one that you don’t need. Our goal isn’t just to make a sale—it’s to win your trust, and gain a customer for life.